Microsoft Azure team released Azure Search as a preview product a few days ago, an hosted search service solution by Microsoft. Azure Search is a suitable product if you are dealing with high volume of data (millions of records) and want to have efficient, complex and clever search on those chunk of data. In this post, I will try to lay out some fundamentals about this service with a very high level introduction. With many of the applications we build as software developers, we need our data to be exposed and we want that data to be in an easy reach so that the user of the application can find what they are looking for easily. This task is especially tricky if you have high amount of data (millions, even billions) in your system. At that point, the application needs to give user a great and flawless experience so that the user can filter down the results based on what they are actually looking for. Don't we have solutions to address this problems? Of course, we do and solutions such as Elasticsearch and Apache Solr are top notch problem solvers for this matter. However, hosting these products on your environment and making them scalable is completely another job. To address these problems, Microsoft Azure team released Azure Search as a preview product a few days ago, an hosted search service solution by Microsoft. Azure Search is a suitable product if you are dealing with high volume of data (millions of records) and want to have efficient, complex and clever search on those chunk of data. 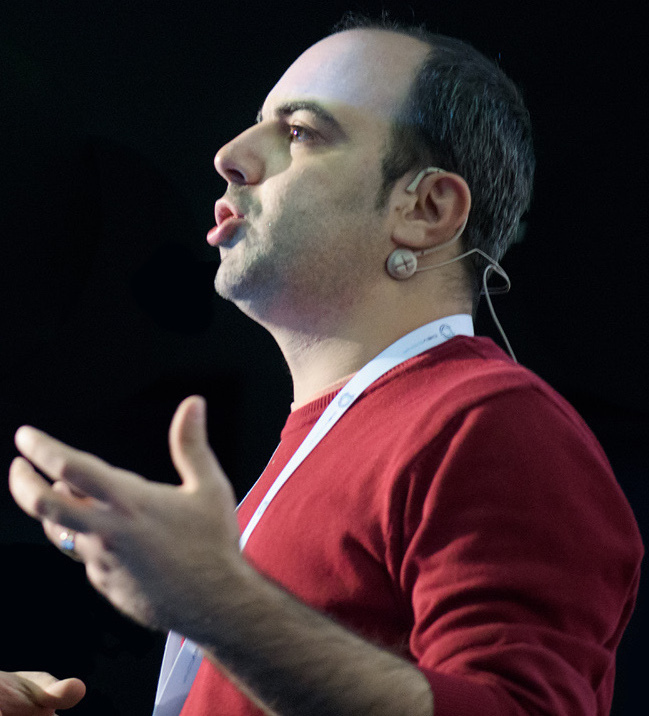 If you have worked with a search engine product (such as Elasticsearch, Apache Solr, etc.) before, you will be too much comfortable with Azure Search as it has some many similar features. 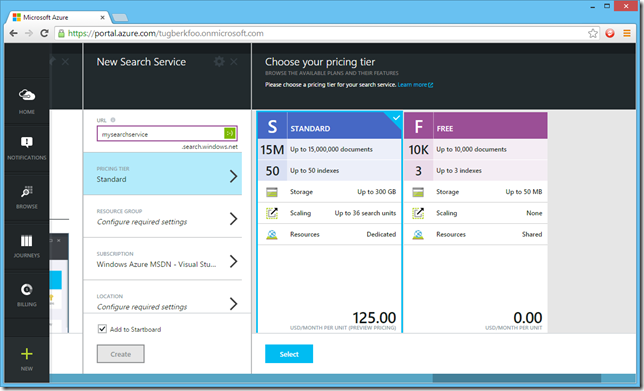 In fact, Azure Search is on top of Elasticsearch to provide its full-text search function. However, you shouldn't see this brand-new product as hosted Elasticsearch service on Azure because it has its completely different public interface. Search service is the highest level of the hierarchy and it contains Provisioned search unit(s). Also, a few concepts are targeting the search service such as authentication and scaling. Search units allow for scaling of QPS (Queries per second), Document Count and Document Size. This also means that search units are the key concept for high availability and throughput. As a side note, high availability requires at least 3 replicas for the preview. Index is the holder for a collection of documents based on a defined schema which specifies the capabilities of the Index (we will touch on this schema later). A search service can contain multiple indexes. Lastly, Document is the actual holder for the data, based on the index schema, which the document itself lives in. A document has a key and this key needs to be unique within the index. A document also has fields to represent the data. Fields of a document contain attributes and those attributes define the capabilities of the field such as whether it can be used to filter the results, etc. Also note that number of documents an index can contain is limited based on the search units the service has. Let's first have a look at the portal experience and how we can get a search service ready for our use. Azure Search is not available through the current Microsoft Azure portal. It's only available through the preview portal. Inside the new portal, click the big plus sign at the bottom left and then click "Everything". This is going to get you to "Gallery". 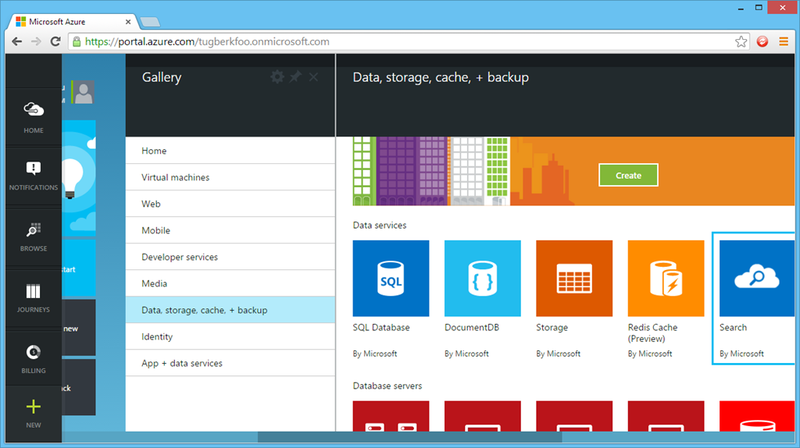 From there click "Data, storage, cache + backup" and then click "Search" from the new section. 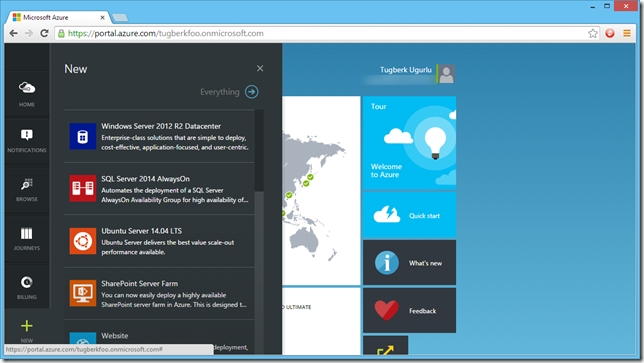 You will have a nice intro about the Microsoft Azure Search service within the new window. Hit "Create" there. Keep in mind that service name must only contain lowercase letters, digits or dashes, cannot use dash as the first two or last one characters, cannot contain consecutive dashes, and is limited between 2 and 15 characters in length. Other naming conventions about the service has been laid out here under Naming Conventions section. When you come to selecting the Pricing Tier, it's time to make a decision about your usage scenario. Now, there two options: Standard and Free. Free one should be considered as the sandbox experience because it's too limiting in terms of both performance and storage space. You shouldn't try to evaluate the Azure Search service with the free tier. It's, however, great for evaluating the HTTP API. You can create a free service and use this service to run your HTTP requests against. The standard tier is the one you would like to choose for production use. It can be scaled both in terms of QPS (Queries per Second) and document size through shards and replicas. Head to "Configure Search in the Azure Preview portal" article for more in depth information about scaling. 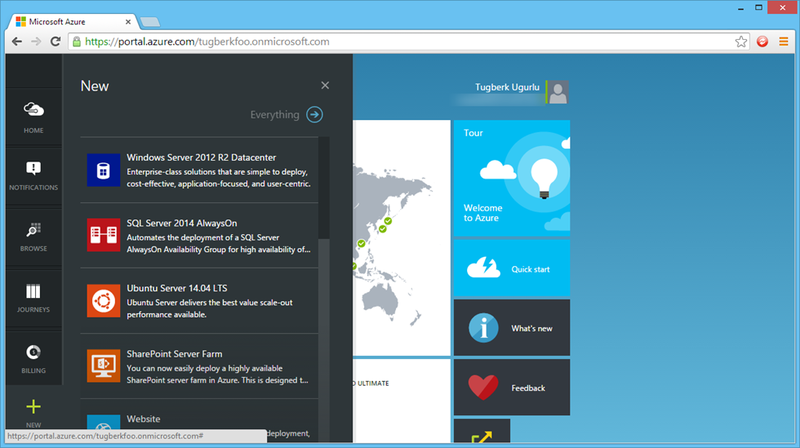 When you are done setting up your service, you can now get the admin key or the query key from the portal and start hitting the Azure Search HTTP (or REST, if you want to call it that) API. With the above request, you can also spot a few more things which are applied to every API call we make. There is a header we are sending with the request: api-key. This is where you are supposed to put your api-key. Also, we are passing the API version through a query string parameter called api-version. Have a look at the Azure Search REST API MSDN documentation for further detailed information. With this request, we are specifying the schema of the index. Keep in mind that schema updates are limited at the time of this writing. Although existing fields cannot be changed or deleted, new fields can be added at any time. When a new field is added, all existing documents in the index will automatically have a null value for that field. No additional storage space will be consumed until new documents are added to the index. Have a look at the Update Index API documentation for further information on index schema update. Check out the great documentation about index population API to learn about it more. Lastly, there are query and lookup APIs where you can use OData 4.0 expression syntax to define your query. Go and check out its documentation as well. Stop what you are doing and go watch them if you care about Azure Search. It will give you a nice overview about the product and those videos could be your starting point.